Moving Service is the removals company you can trust. Our experienced team of movers are equipped to handle any sized removal job. We can supply the appropriate removal vehicles for your individual needs, whether you require a man and a van or a removal truck with a team of movers. Our dedicated removals company will provide you with a premium service at an affordable price. Our removal service in Bexleyheath operates in Bexleyheath and Bexley Newtown, within the postal areas of DA6 and DA7. Our aim is to make moving a home easier and will use our best endeavours to reduce the stress and anxiety that moving a house often causes. All our staff are completely trained in carrying and packing goods to ensure that no damage is caused during transportation. We can also provide a packing and unpacking service to give you less thing to think about. In addition, for your convenience we can arrange to remove any waste packaging materials. For more information on our wide range of removal services, phone our friendly team of professionals on 020 8746 4402. The area is in the Borough of Bexley is a large suburb towards the South-East of London. The area was once a part of Kent until 1965 when it was amalgamated into the Big Smoke. The new and vibrant shopping area “Broadway Shopping Centre” opened in 1984 and was given a facelift in 2008. Due to the increase in shopping facilities, the area has now grown into one of the most successful commercial centres in Greater London, drawing in lots of custom. For an evening out, there is plenty to choose from. There are The Edward Alderto and a Cineworld Cinema where you can watch all the new releases, and ten pin bowling as well as a nightclub called “Pure” which is sometimes visited by people from Towie! You can get in and out of the area via the Transport for London bus services, which has links to many surrounding areas as well. The destinations you can reach include Bromley, Crayford, Lewisham, North Greenwich, Orpington, and Woolwich. Several famous people have links with the area, including the politician Neal Lawson, Edward Heath, the Conservative Prime Minister from 1970-1974, the former WBA fighter David Haye and the celebrity chef Delia Smith. If you are lucky enough to be moving to Bexleyheath, DA6 you won’t be short of things to keep you occupied. Let us help you start your new life on the right track! Call us at Moving Service on 020 8746 4402 for a chat with one of our dedicated expert movers. We can help you decide the best removal options for you. If you are moving an apartment, a man and a van may be just what you need or if you are moving a house, then our top of the range, fully equipped removal truck may be more appropriate. 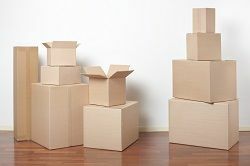 We would be pleased to offer our suggestions to make your move more cost effective and efficient and together we can come up a tailor - made plan for your personal removal requirements. We are competitively priced and have an excellent reputation, much of our work coming from recommendations, which we believe speaks volumes. Phone our friendly sales staff who would be pleased to discuss your requirements and provide you with a free quotation. We can take care of all our moving requirements from start to finish, and there is nothing you need to do except tell us when and where, and let us take care of the rest. Very happy! Their home removals company in DA6 paid close attention to my direction, as I was particularly concerned with my action figure collection which I was quite worried about. They seemed to understand, and made me feel at ease. Very grateful to Moving Service!